I took a pinhole photography class this past Sunday! It was FUN. 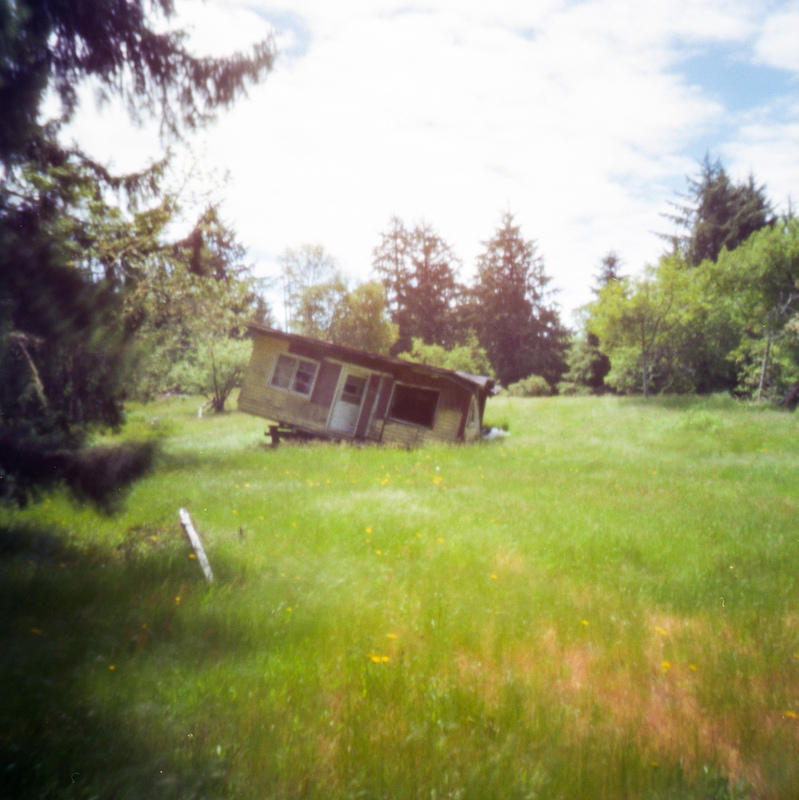 It was taught by Zeb Andrews who does amazing work. I learned so much. Part of the class was spent in the classroom where he went over the technical aspects of pinhole cameras. We also looked at some examples of some of the things you can do with this type of photography. Then we went out on the town and snapped away. It was really cool to have Zeb there to help out with little things. I feel like my knowledge on this subject grew exponentially in one afternoon, just by having been with an expert in the field for a few hours. Interesting how that happens. It makes me realize that photography is something I need to get out there and do with other people more often. I miss all of the learning that happens when you shoot with others. 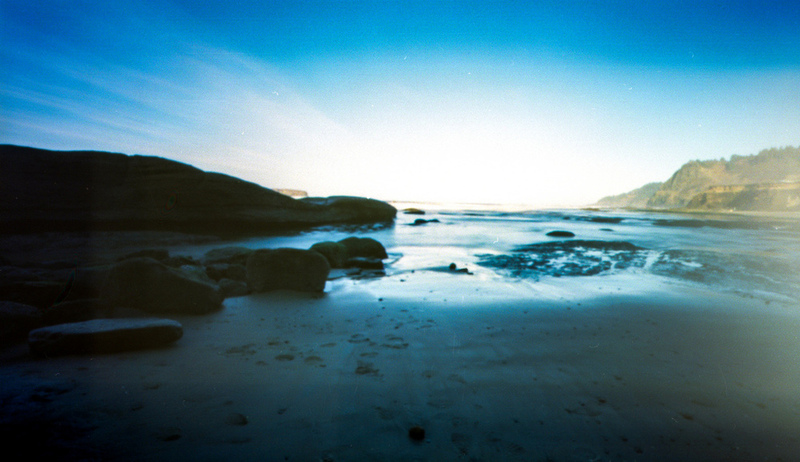 We were provided with a Holga Pinhole camera and two rolls of Ektar 100 film. Here are my favorites. These cameras have insane depth of field. There is only one aperture setting on this camera: f/192. Yes, that is correct. f/192. Most cameras only go up to f/22. Since everything in the shot is in focus, you are able to take advantage of every single detail in the frame. I could go nuts with this. Since the aperture is so tiny you have to have longer exposures to let the light in. This allows for really incredible motion blur in broad daylight. In the photo at the top of this post I set my camera down on the ground so I could get a shot of the bridge and the river. As I started my exposure a crowd of people marched by and created this crazy wave of ghostly apparitions. I didn't expect this at all (because I can't control what people do). That's part of the fun of this. Since the exposures are longer you can't really control what goes on during the exposure and the result is unexpected. People move around and the faster they move the more transparent they become. This is another thing I want to play around with more. 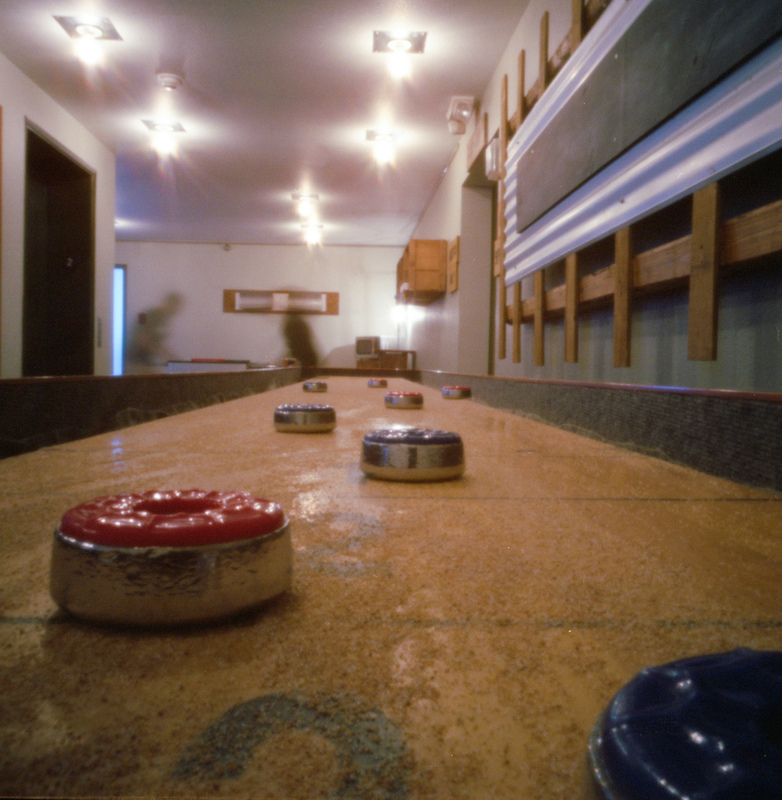 Pinhole photography is, essentially, an in-depth study in exposure. The only thing you have control over is exposure time. Everything is in focus so you don't have to worry about that. There is no aperture to control. It is completely and totally about exposure time. I like this. I like how it forces you to really focus in on this one aspect. I am taking my camera with me to the beach this weekend. I can't wait to see what this camera does to the ocean waves!